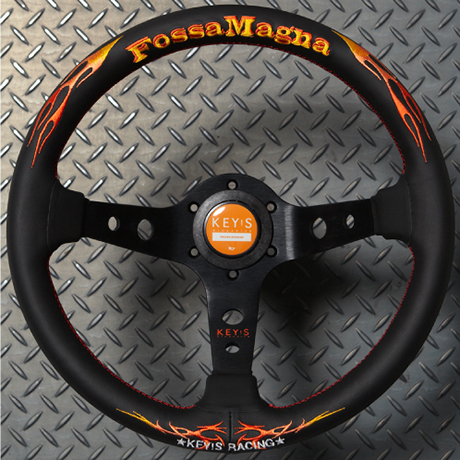 Key’s Racing has gained considerable credibility thanks to the success of Key’s Racing Steering Wheels. 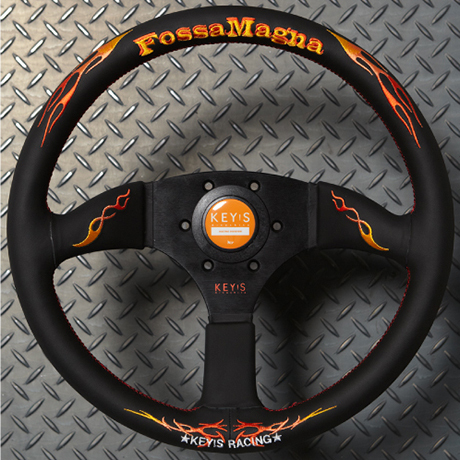 Now the other pillar of the Key’s Racing brand is the Fossa Magna series of steering wheels and a matching gear shift knob. 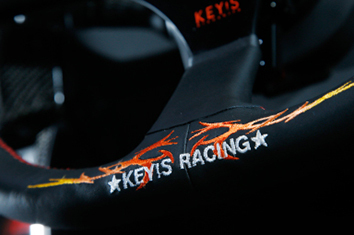 As with Key’s Racing Steering Wheels, we did not compromise during the process of developing and engineering these unique products that drivers touch and through which they feel their machines. The right approach to product-making has won high acclaim and attracted an increasing number of drivers competing in the serious motorsport scenes both in Japan and overseas. 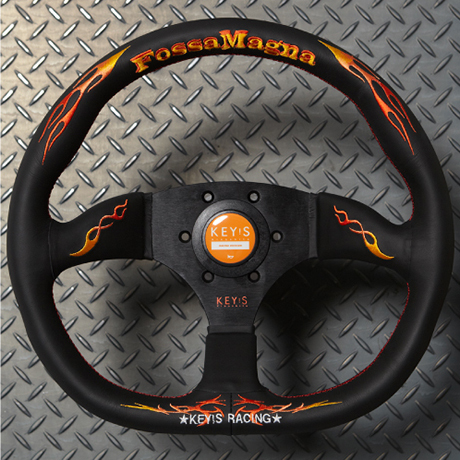 The Fossa Magna series pioneered the world of “super dress” steering wheels and has captured the hearts of drivers who want to add aggressiveness to their steering wheels. Needless to say, our attention to detail proves our seriousness. Fossa Magna products have been chosen in particular by All Japan-level racing drivers who compete in championships, as well as seeded drivers competing in D1 championships. 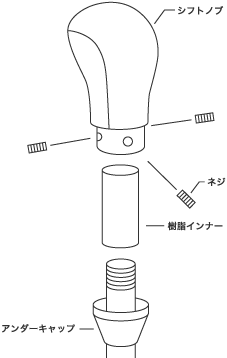 Besides the performance of these products, their most notable characteristic is their unique design. Fossa Magna refers to a geological fault. A deep, wide fault lies roughly in the center of the Japanese archipelago stretching from north to south as if to server the islands. That area, or fault, is called the Fossa Magna and contains several volcanoes, including mountains like Fuji, Kurohime, Myoko, Yatsugadake, and Hakone. “Gorgeous” is the perfect word to describe this product. Just like Key’s Racing Original Steering Wheels, this Flat Type has been popular among competition-oriented drivers. It features a thick grip and high stiffness. The areas where the driver’s palm and fingers touch the wheel have dimples that fit well in a natural way. The beautiful design expressing flare exerts a strong presence. 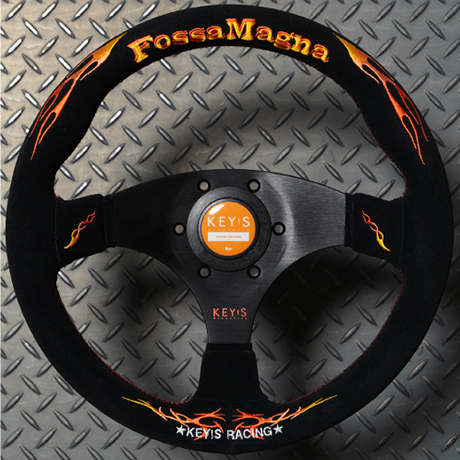 As with Key’s Racing Original Steering Wheels, the product is available wrapped in either comfortably fitting Suede or glossy, beautiful-looking Smooth Leather. Red stitching serves as a decorative accent, making a contrast with the logo in bright orange and yellow to express strong individuality. Its sculpted shape and vivid flare add spice to its character. 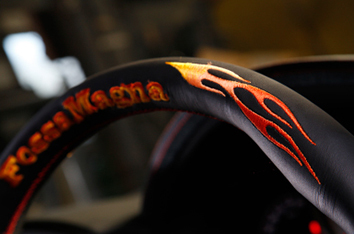 The Fossa Magna logo in gradations of color from yellow to orange is embroidered on the right and left sides of the steering wheel spokes. More than a few drivers choose the Deep Type based on their vehicle type or preferred driving position and other personal preferences. This deep-cone steering wheel is characterized by its wheel center sitting 80mm toward the driver from the surface of the steering wheel boss. Another characteristic is that the wheel’s grip has shallower dimples, making it easier for drivers to turn the steering wheel quickly in an aggressive manner. It has proved popular especially among drivers who prefer having a little more room for their arms to bend slightly. Three spokes extending to the center hub feature characteristic punched holes. Detailed design elements located farther away from the driver’s eye line are also appealing. Its wheel center sits 80mm towards the driver from the surface of the steering wheel boss. It has gained popularity among drivers who prefer positioning the steering wheel closer to their bodies. 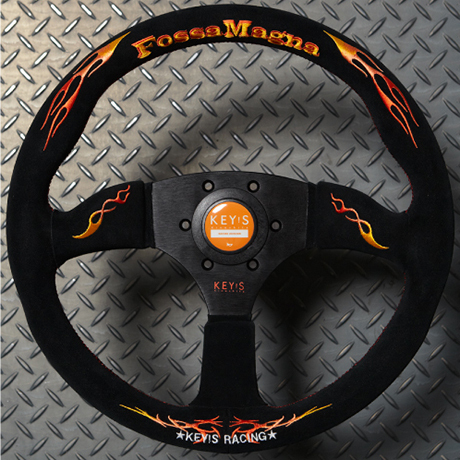 Also, many drivers competing in the All Japan Rally Car Championships have chosen this steering wheel. To complement our lineup of products with round designs, we offer this D-shaped type featuring a straight line at the bottom. A deep-cone steering wheel tends to be preferred among drivers competing in the D1 Grand Prix series and rally car drivers, who need to turn frequently and manipulate the steering wheel quickly and aggressively. On the other hand, many racing car drivers and city drivers value highly the Flat Type or this D-Shaped Type. The D-Shaped Type shares with other products in this series the characteristic Fossa Magna logo on the backside of the steering wheel. Owners find this feature, viewed from outside the car, quite distinctive and appealing. The horn button has a bright orange cap. A serigraph KEY’S logo is featured on the bottom spoke in a subtle manner. 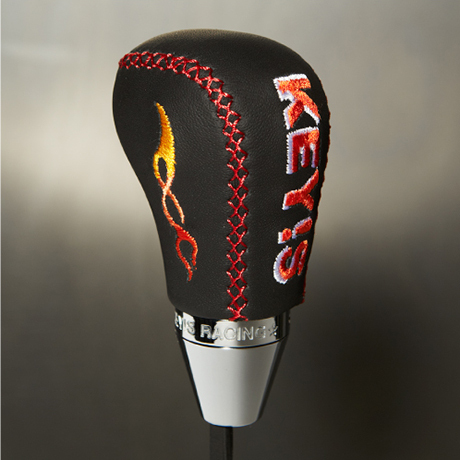 The Fossa Magna Series also includes a gear shift knob. In developing this product, we incorporated into it the texture and level of perfection of our steering wheels. To enable drivers to move the lever in a fraction of a second, maximum consideration was given to comfort and the feel of gripping the knob. The knob shares the same design themes as the steering wheel. I think that using our shift knob along with one of our steering wheels will give you a personalized cockpit.